Onedox Google Assistant is a super new product for us, and for Google! Please be gentle with us while we perfect the signup process and do let us know if your experience is any different to the below so we can learn and adjust! On your computer, make sure you're logged into the Google account you want to use with Google Assistant (it doesn't have to be the same one as you use with Onedox). 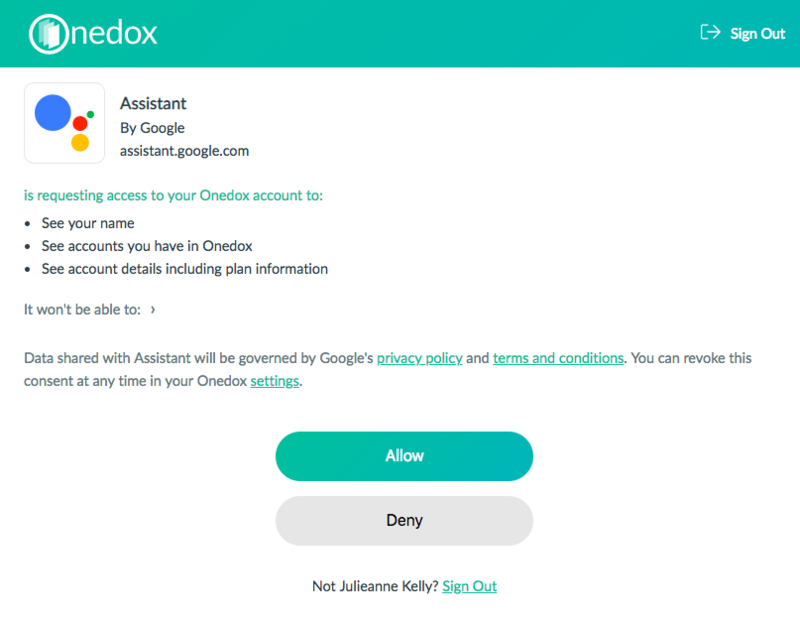 Go to the directory listing for Onedox in Google Assistant. Open Google Assistant on your phone and start by asking 'Hey Google, what was my last mobile bill?' ... Google should suggest you use Onedox! Say yes!